The 2003 National Aviation Maintenance Technician of the Year is Colorado’s Tom Hendershot. In each of the past 40 years, the General Aviation Awards Program and the Federal Aviation Administration have recognized a small group of aviation professionals in the fields of flight instruction, aviation maintenance and avionics and safety for the important role they play in aviation safety and education. This awards program is a cooperative effort between the FAA and numerous industry sponsors. The selection process begins at local Flight Standards District Offices and then moves on to the nine regional FAA offices. Panels of aviation professionals within the various fields then select the national winners. This year’s national award winners are Thomas “Tom” E. Hendershot, of Littleton, Colo., aviation maintenance technician; Allison John “Al” Ingle of Tallahassee, Fla., avionics technician; U.S. Air Force Maj. Dorward James “Jim” McDonald of Jacksonville, Ark., aviation safety counselor; and William Jeffery “Jeff” Edwards of Chesterfield, Mo., named the certificated flight instructor of the year. FAA Administrator Marion Blakey will present this year’s awards on August 1, during EAA AirVenture 2003 in Oshkosh, Wis.
Tom Hendershot has airframe & power plant certification with inspection authorization and has worked as an aviation professional for 47 years. The holder of FAA Bronze, Silver, Gold, Ruby, Diamond and Diamond Medallion AMT awards of excellence, he conducts professional training courses industry-wide and creates curricula for institutions of higher education. While with Frontier Airlines, Hendershot has mentored all of Frontier’s maintenance technicians through the FAA maintenance awards program. He has also continued his own professional growth and development well beyond FAA minimum requirements. Recently, he was elected to the Professional Aviation Maintenance Association board of directors. In addition, he is an active pilot and flight instructor with over 22,000 hours. He also finds time to serve as an operations and airworthiness aviation safety counselor. Hendershot represented the Denver FSDO as well as the FAA’s Northwest Mountain Region. Seven different aviation professionals including Jeffery S Potter, president & CEO of Frontier Airlines, nominated him for this award. This year’s other regional AMT winners include Dan Ehlers, Little Rock, Ark. (FAA Southwest Region); Robert Elrod, Fremont, Neb. (Central Region); Floyd Mathews, Greenville, S.C. (Southern Region); Daniel Shamoon, Bakersfield, Calif. (Western Pacific Region); Morgan Stroh, Grand Forks, N.D. (Great Lakes Region); and William Kamm, Southwick, Mass. (New England Region). Jeff Edwards has been a CFI since 1982, and is currently an aircraft accident investigator and president of AvSafe, a company that specializes in aviation safety consulting services. A former naval flight officer and corporate pilot, he is one of approximately 300 aviation educators worldwide who hold a master instructor designation, a professional designation granted by the National Association of Flight Instructors to outstanding aviation educators who are demonstrating an ongoing commitment to excellence, professional growth and service to the aviation community. He is a regular contributor to “ABS,” the American Bonanza Society’s monthly publication and teaches in the society’s pilot training program. When his local airport, Spirit of St Louis (SUS), was recently threatened with noise restrictions, he helped lead an advocacy group that successfully reconciled the noise issues. He alsoserves as an FAA designated pilot examiner as well as an aviation safety counselor. Edwards represented the St Louis FSDO as well as the FAA’s Central Region. Erich Albrecht, president of the Greater St. Louis Flight Instructors Association, nominated him for this award. This year’s other regional CFI winners include Master CFI David Jochman, New Port Richey, Fla. (Southern Region); Frances Thomas, Fairbanks, Alaska (Alaska Region); Master CFI Steve Reithof of Haworth, N.J. (Eastern Region); Master CFI John Mahany, Long Beach, Calif. (Western Pacific Region); Master CFI Tony Palesotti, Searcy, Ark. (Southwest Region); Walter Miller, Monument, Colo. (Northwest Mountain Region); Pamela Hague, Bowling Green, Ohio (Great Lakes Region); and James Lipski, Bristol, Conn. (New England Region). Al Ingle developed an interest in avionics as a grade school student but actually began his aviation career as a pilot and flight instructor. Since going into avionics full time more than 28 years ago, he has become a prolific author. Dozens of his articles have been published in “Avionics News,” the Aircraft Electronics Association’s monthly magazine. He is also nationally known as a designer of avionics test equipment including the CA2100 Universal Test System, a modular system utilizing an IBM industrial computer and an Ethernet hub. 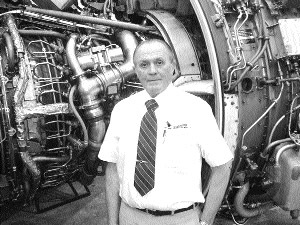 In 1978, Ingle founded Capital Avionics in Tallahassee. An FAA approved repair station, Capital Avionics maintains avionics systems for many of the aircraft used by the State of Florida. They also have military contracts for the maintenance of avionics components on some presidential aircraft. This year’s other regional winners include Ronald Noe, Kalispell, Mont. (Northwest Mountain Region) and Richard Wahlman (FAA Great Lakes Region). Maj. McDonald enlisted in the Air Force in November 1983. In 1987, he received an appointment to the Air Force Academy in Colorado Springs. After graduating from the academy in 1991 with a major in American military history, he attended Air Force pilot training at Columbus Air Force Base in Mississippi. Currently, he is serving with the 314th Airlift Wing as a C-130 instructor pilot as well as chief of wing flight safety. As an aviation safety counselor for the Little Rock FSDO, McDonald has conducted over 150 safety briefings for more than 5,000 pilots over the past two years. His popular WINGS seminars cover such topics as runway incursions, night flying, single-pilot IFR, aviation physiology and mid-air collision avoidance techniques. In addition, he also briefed local Air Force pilots on areas of highly concentrated civilian flying. In addition to being an Air Force instructor pilot, McDonald is an instrument rated civilian commercial pilot (ASEL & AMEL) and is working toward civilian flight instructor certification. Candidates for the national award begin the selection process with their local FSDO. The FSDO level winners are then forwarded to the nine regional FAA offices. A panel of professional aviation maintenance technicians then selects the national winner. This year’s other regional winners include MayCay Beeler, Greensboro, N.C. (Southern Region); Jeff Brown, Kensington, N.H. (New England Region); Sandra McClure, Mount Laurel, N.J. (Eastern Region); Arthur Rodriguez, Yuma, Ariz. (Western Pacific Region); and Master CFI Gary Stevens, Findlay, Ohio (Great Lakes Region). Organizations providing support and sponsorship for the awards program include the FAA, NAFI and PAMA, as well as the Aircraft Owners and Pilots Association, the Experimental Aircraft Association, the General Aviation Manufacturers Association, the National Air Transportation Association and the National Business Aviation Association. The Aircraft Electronics Association, the Aeronautical Repair Station Association, the Helicopter Association International, the National Association of State Aviation Officials and Women in Aviation, International also provide support and sponsorship.